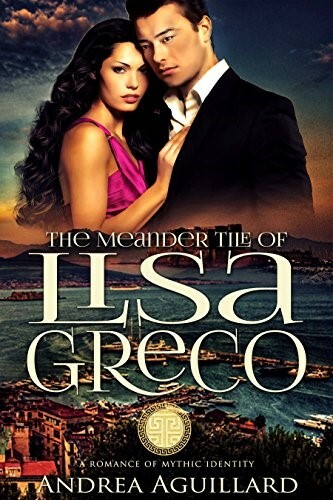 Los Angeles, CA—The newest release from Story Merchant Books and the second book in Andrea Aguillard’s Romance of Mythic Identity series brings you the inspiring story of second generation Italian-American Lisa Greco. She’s about to receive the reward she's worked her head off for—but she's not sure it's what she wants anymore. When she's offered her boss's position at a prestigious New York publishing firm—a position she's worked her entire career toward—she asks for time off instead. Because it suddenly hits her: this is it. No more vacations, no more dreams of doing her own writing. And as for her love life, so much for fantasies. She might as well just take it off her bucket list. She's been judged ready to assume great responsibility over others, but it's come at a great cost: she hasn't been responsible to herself. She's always postponed exploring her creativity, and discovering her Neapolitan origins. So, she throws the dice, and goes to Naples. Only, her Greek-Italian heritage is not what she expected. It's much, much more—and her exploration of the enchanting city is only enhanced by a mysterious Japanese-Italian professor of mathematics and itinerant tenor, Ichiro Negroponte, who's in search of his own roots. This leads her to do something she's never done before. She takes his hand as he leads her into the darkest recesses of the ancient excavations of Cumae that reveal the key to both their identities. Books 1 & 2 both available now in print and eBook formats.